New T-Shirt Designs Available from Cooper’s Pack! 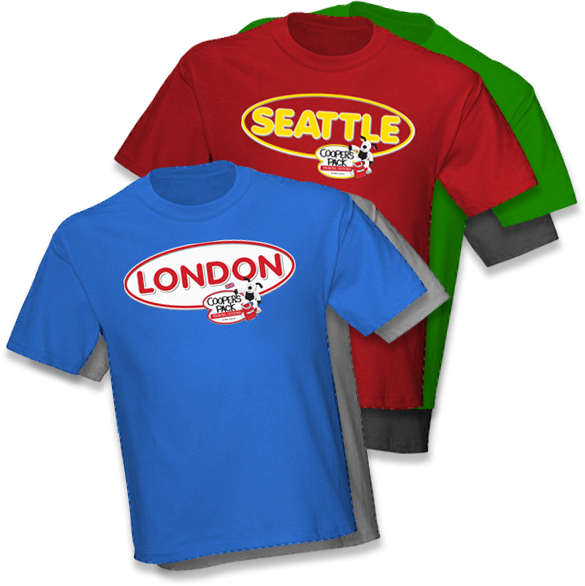 Cooper has updated his t-shirts to include the names of the cities of his books. Currently there are Seattle and London options available, with New York and Alaska coming soon. Choose from Men’s or Women’s in a variety of colors including heather gray, red, navy blue, black or green. Each shirt is $18 plus shipping. Contact orders@cooperspack.com for more information. This entry was posted in Cooper's Blog, Product Release and tagged children's travel guides, children's travel tips, electronic travel guides, kids book children’s ebooks, kids books, kids ebooks, kids travel books, kids travel tips, London, new york city, Seattle, t-shirts, tee-shirts, travel books, travel tips. Bookmark the permalink.